Mobile tyre fitting based in Gravesend covering Kent and the southeast. Cheap tyres online with free fitting, at your choice of location. Local mobile tyre fitting in Gravesend at a fraction of the high street competitors and cheaper than leading tyres depots with free fitting at your choice of location. We cover Istead rise, Meopham, Vigo, Culverstone, Northfleet and many more. Our friendly mobile tyre service has saved our clients time and inconvenience by delivering and fitting new tyres to an address of their choosing in the Gravesend area and providing professional fitting to the highest standard. PLEASE NOTE : All single tyre fitting appointments will incur a £10 surcharge to be paid on the day of fitting - cash or card. Use the tyre picker above to choose one or more dimensions of your required tyres. If in doubt call us for free on 0800 046 7976 or use our mobile friendly number 01474 34 80 90. Our mobile tyre fitting service is based in Gravesend, Kent but we cover all of Kent and much of the southeast and London. Book your mobile tyre fitting to suit your location – home, office or anywhere you need us to be. We operate a comprehensive fitting services between the hours of 08:00am and 5:30pm. We come to you between 08:00am and 1:00pm. We pride ourselves on giving great value for money tyres or tyre repair in the Gravesend area, Door 2 door tyres is Gravesend’s number one choice. We have most tyres in stock ready for a next day service, a superb choice of top brand tyres as well as a superb range mid-range including Nexen, and premium branded budget tyres including Roadstone, you will find all the tyres you need at the most competitive prices in Gravesend or anywhere across the UK. 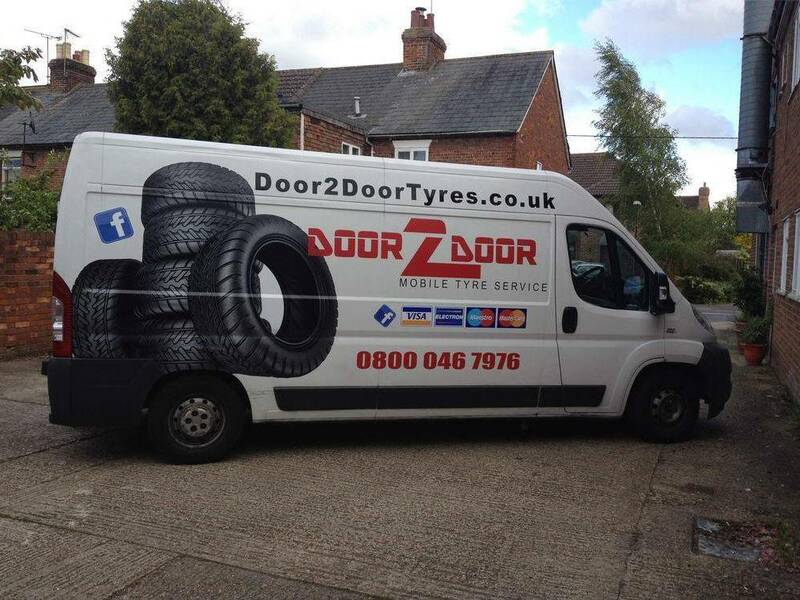 When you book Door 2 door tyres Gravesend, you get Door 2 door tyres, no middle men. For the best service at the best prices call or book Door 2 door tyres Gravesend.